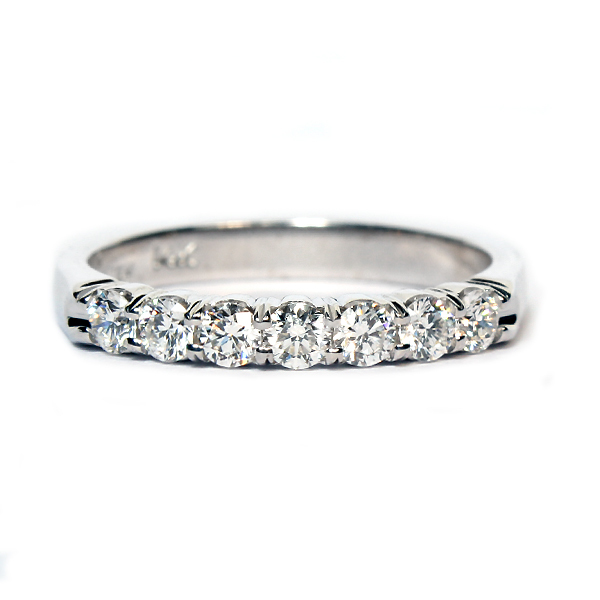 This All 14K White Gold Ladies Diamond Wedding Ring Contains Seven Round Brilliant Diamonds That Are Prong Set In A Straight Wedding Band. 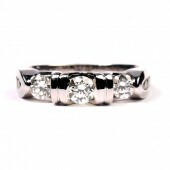 These Diamonds Are Very Well Matched And Proportioned, Near Colorless (G-H), Only Slightly Imperfect In Clarity (Si), And Weigh 0.24 Carats Total Weight. 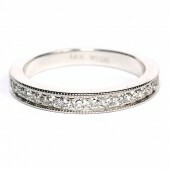 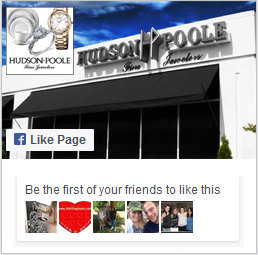 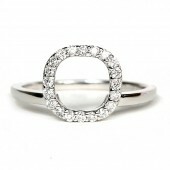 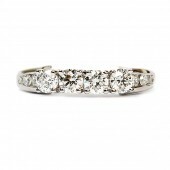 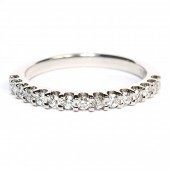 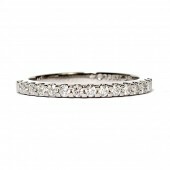 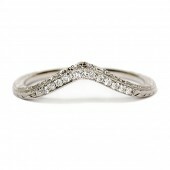 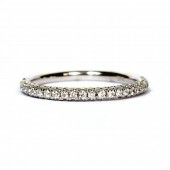 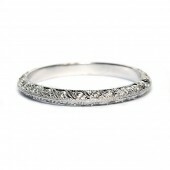 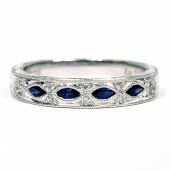 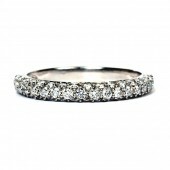 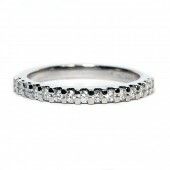 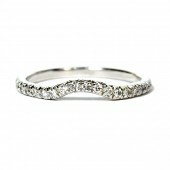 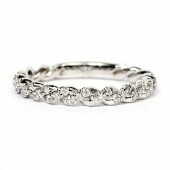 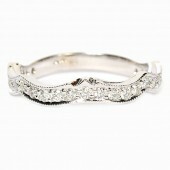 Design To Match Engagement Ring Style Number 116-13534, But Could Be Worn By Itself Or As An Anniversary Band.